If there is one thing that my hometown of Philadelphia is famous for, other than the infamous Santa Claus snowball throwing incident, it's Philadelphia Cheesesteaks. Are you missing one of the best ways to advertise your food products? You have delivery trucks on the road throughout the area that you serve. You also have them parked at colleges and universities, potential serving thousands of students a day. 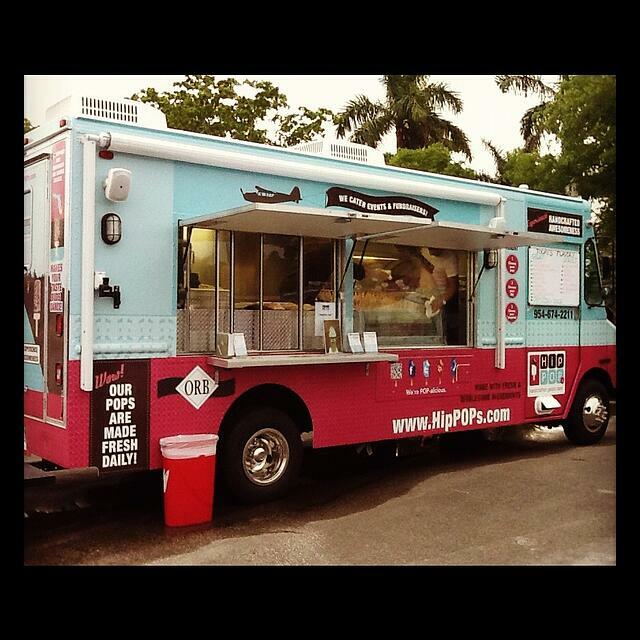 What better idea than to have real high quality food truck wraps displayed on each of them? 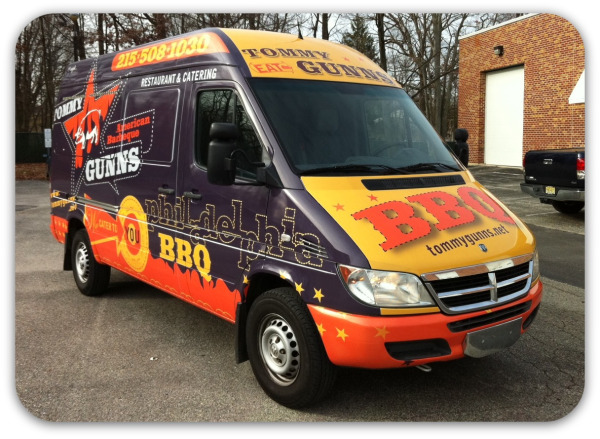 Project Feature: Food Truck Wrap on the Rachael Ray Show! 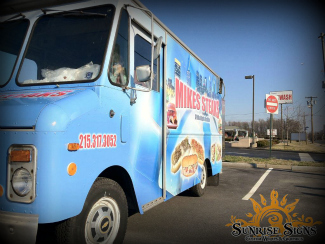 Sunrise Signs has made a reputation designing, fabricating and installing vehicle wraps. We confer with the client to design wraps. We print the wraps right here on location. We install wraps in our heated indoor facility. In this case, though, we got to learn a little something about branding. 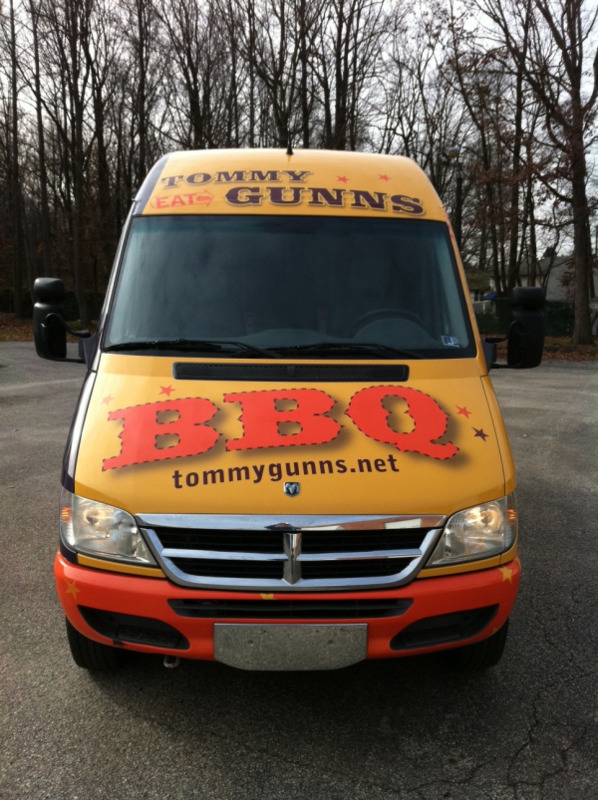 You see, Michael Usowski, an owner at Tommy Gunns BBQ in Manyunk, is a business branding guru. In a previous life, Michael was the creative director for a few dot com companies. Then he found BBQ. Since he enjoyed cooking…why not BBQ? Why not a restaurant?